Zeituni Onyango became ill in January and suffered from breast cancer and respiratory problems. 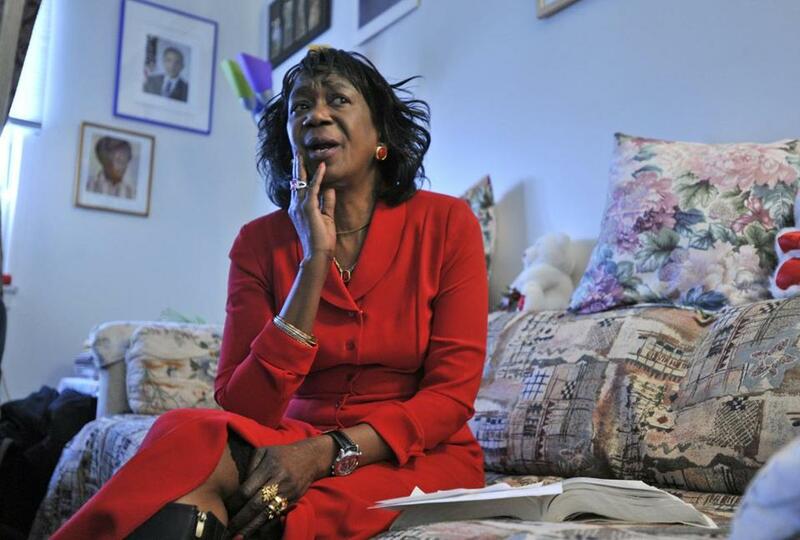 President Obama’s aunt, Zeituni Onyango, who won asylum in 2010 after living illegally in Boston for several years, died on Monday night in a nursing home in the city, her legal team said. The law office of Margaret W. Wong, one of Onyango’s immigration lawyers, confirmed on Tuesday that she died the night before in her sleep at the Kindred Nursing and Rehabilitation Harborlights facility in South Boston. Onyango, 61, had taken ill in January and suffered from breast cancer and respiratory problems, Wong and a relative said. Information on funeral arrangements was not available. The White House had no comment on Onyango’s passing. She was a native of Kenya and moved to South Boston in 2000, Wong’s office said. She was the half-sister of Obama’s late father. A receptionist at the South Boston nursing home where Onyango died said on Tuesday that no one was available to speak with the media. Abel Oriri, a psychologist based in Ohio who said he was a relative, spoke highly of her in a phone interview. Oriri said her children are living in Kenya. Wong’s office said that Onyango was denied asylum in 2004 and nearly deported. Her case was leaked to the press during Obama’s presidential campaign in 2008. According to the statement, Onyango stayed temporarily with friends in Cleveland after her case drew intense media scrutiny in 2008. Bill McGonagle, administrator of the Boston Housing Authority, said Tuesday that Onyango had lived in two agency properties in South Boston and was listed as a tenant at the Monsignor Powers apartments on L Street at the time of her death. McGonagle said Onyango worked in a housing authority computer lab and served as a resident health advocate. Onyango, whom the president called Auntie Zeituni in one of his books, was ordered to leave the country in 2003, but she stayed. Later that year, she tried to stay again. But she lost the appeal, and an immigration judge ordered her deported in October 2004. Instead, Onyango remained in Boston and lived in state and federal public housing. Critics have denounced her for defying deportation and for living in public housing while scores of families are on waiting lists. Her lawyers successfully argued to reopen her case, and she was granted asylum in 2010. Wong, reached by e-mail, said Tuesday that she did not know if the president planned to attend Onyango’s funeral. It was not clear where her funeral and burial will be held. Oriri said Tuesday that her family was grieving, but grateful for the life that she led and the time that she had with them. “I’ve got nothing but praise for her tenacity and love of people and life,” Oriri said. Maria Sacchetti of the Globe staff contributed to this report. Travis Andersen can be reached at travis.andersen@globe.com. Follow him on Twitter@TAGlobe.